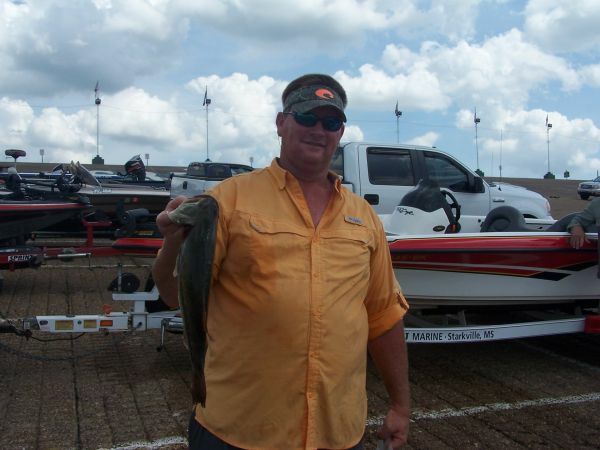 Durant, MS. angler Tommy Ashley won it all on Ross Barnett sat. 4-5-14 with a 5 fish stringer weighing 12.90 lbs. and also had the largest with a 5.72 pounder. 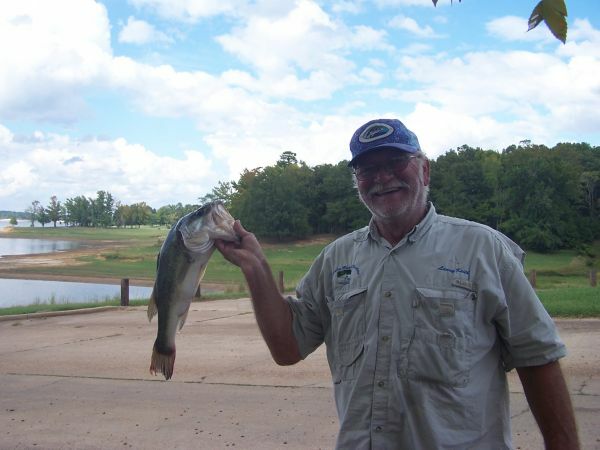 Attala county bassmasters invites anyone to fish any time as a guest by contacting any club member or calling Wayne at 662-739-2150. Our next tournament will be 5-3-14 at Aliceville, Ala.
26 year old Gonzales, La. 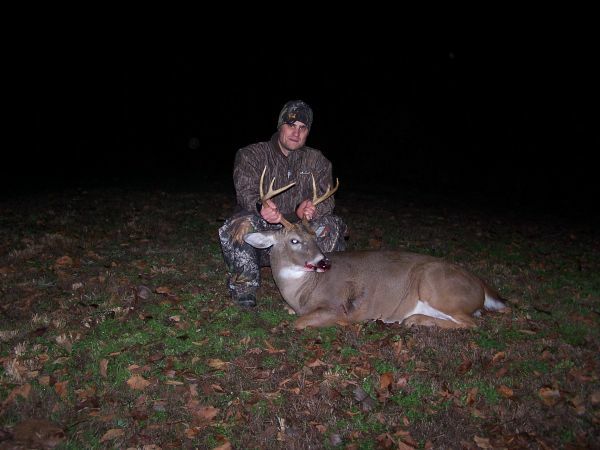 resident Nick Suire hunting on Mike Achord's property in Holmes county MS. killed his first rack buck ever sat. Dec. 7th. Not a trophy by any stretch but a trophy in his book. 170 pound 6 point. Way to go Nick. 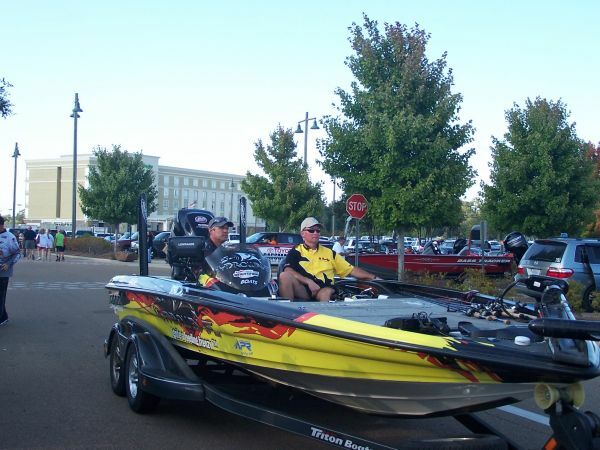 Bass pros at Ross Barnett reservoir Oct. 17th. 18th. 19th. 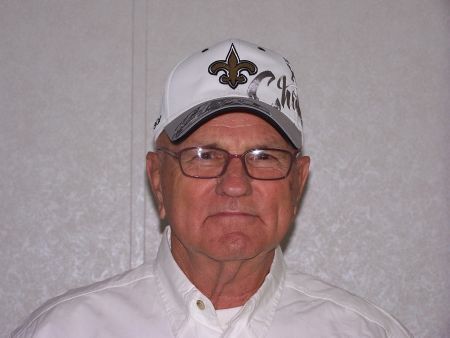 Noel Allen manager of Macs grocery store in Durant, MS. finished 3rd. in the Co-Angler division and earned over $3600.00 for his effort. Noel seated right in the boat. 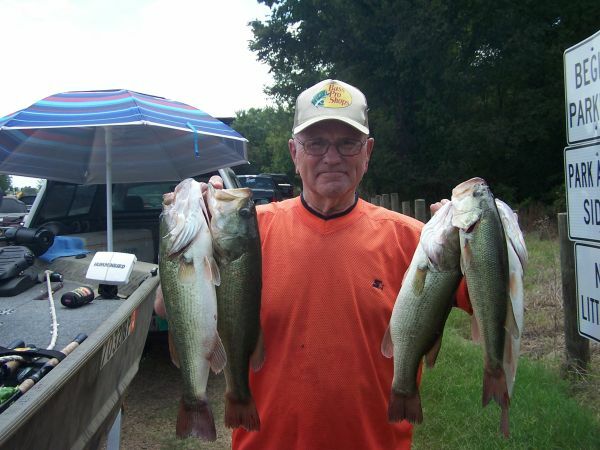 Gene Eisenmann pro angler from Dallas, Tex. pictured in drivers seat also placed 3rd. in the pro division. 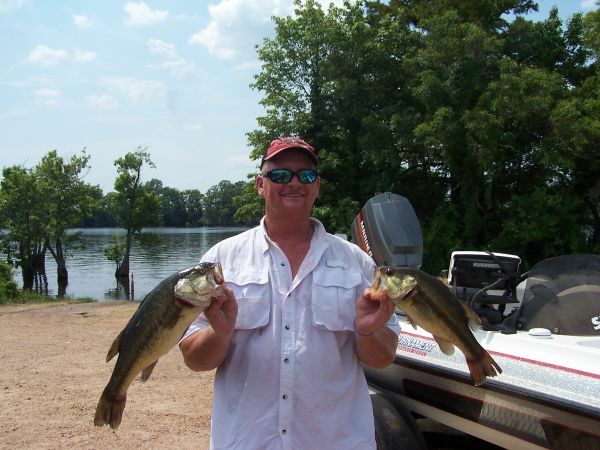 Larry Keith won the Attala county bass club tournament at Enid lake sat. Oct. 5th. with his 5 fish limit weighing 10.47 lbs. 2nd. went to Brad Threet at 9.41 lbs. Scott Wasson 3rd. at 9.12 lbs and also had the largest at 4.06 lbs. Next weekend the top 12 anglers will fish our classic event at a location to be determined thurs. Tim Pickle wins 1st. 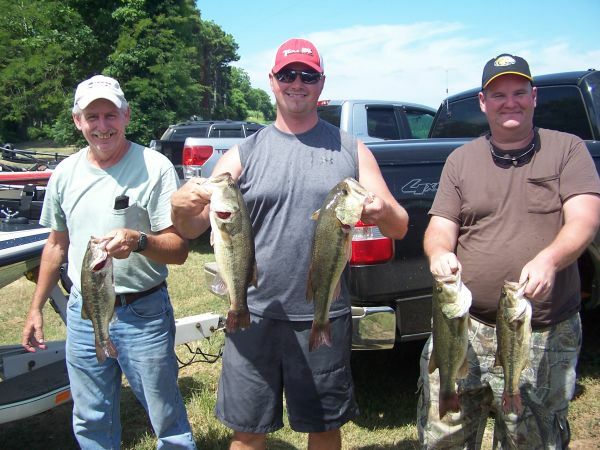 place in Attala county bass club tournament sat. Aug. 3rd. at Wolf lake with a 5 fish limit weighing 10.04 lbs. 2nd. was won by Brad Threet with 7.97 lbs. and 3rd. went to Wayne Achord with 7.26 lbs. 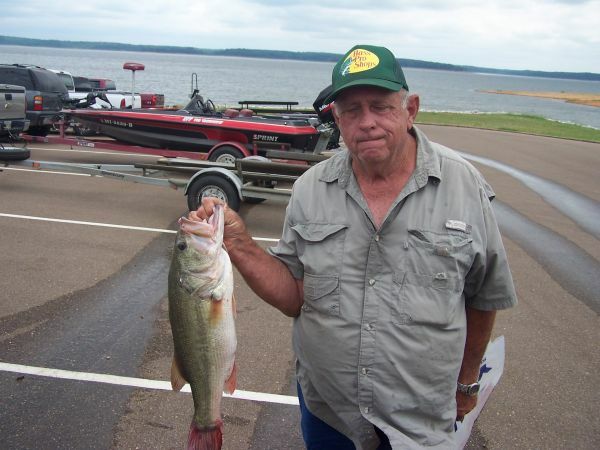 Big bass of the day was caught by Dave Woodfin at 3.42 lbs. To say fishing was tough is an understatement. 24 people fished and only 4 small limits were weighed in. Lee Lindsey is winning everything in our club tournaments this year. 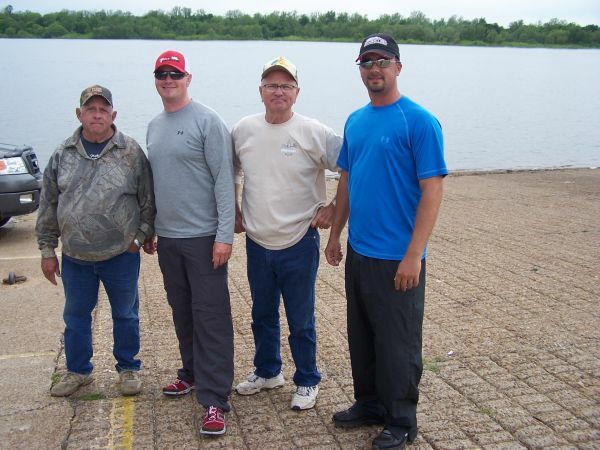 Lee shown in the middle with help holding his 14.43 lb. stringer at Little Eagle lake sat. July 13th. 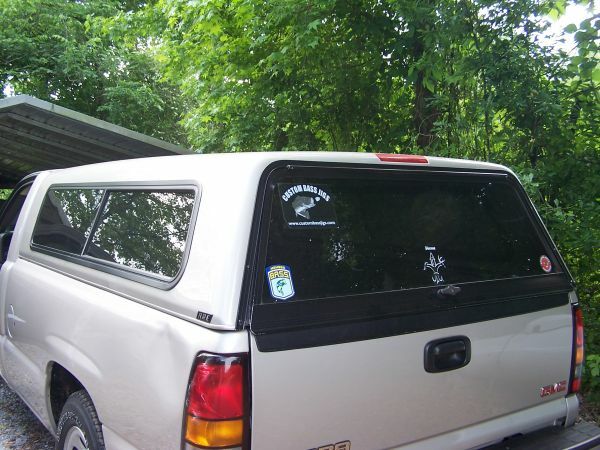 Ricky Bailey left and Buddy Black on right. 2nd. place went to Dave Woodfin with 12.44 lbs & Danny Grubbs Sr. third with 10.93 lbs. Bobby Crowe caught the biggest at 5.12 lbs. Lee Lindsey is the man to beat. After four tournaments this year he placed 2nd. twice and won twice. This month June 8th.at Enid lake he won 1st. place with a limit weighing 17.87 lbs. and had the big bass of the day at 5.54 lbs. Ashley Dorsey was 2nd. with 7.74 lbs. and Danny Grubbs Sr.3rd. with 6.58 lbs. Woodfin wins again and Lindsey is second place again. Dave Woodfin weighed 18.52 lbs. and Lee Lindsey weighed 14.97 lbs. in Attala County bass club tournament at Bee Lake sat. Apr. 6th. Mike Corr was third with 14.82 lbs. James Pickle is pictured with the largest of the day with a 5.94 pounder. 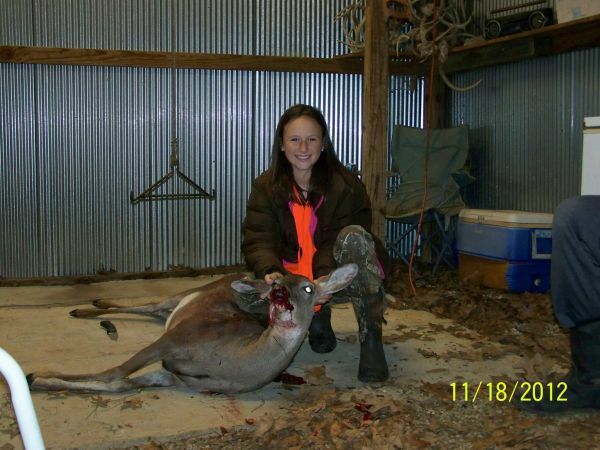 Anna Claire Woodfin of Attala County, daughter of David Woodfin bags her first deer of the season. Way to go Anna Claire. Danny 'Pee Wee' Grubbs won the Attala bass club tournament at Lake Chotard sat. Oct. 6th. with 16.64 lbs. and caught the largest of the day with a 5.79 lb. lunker. 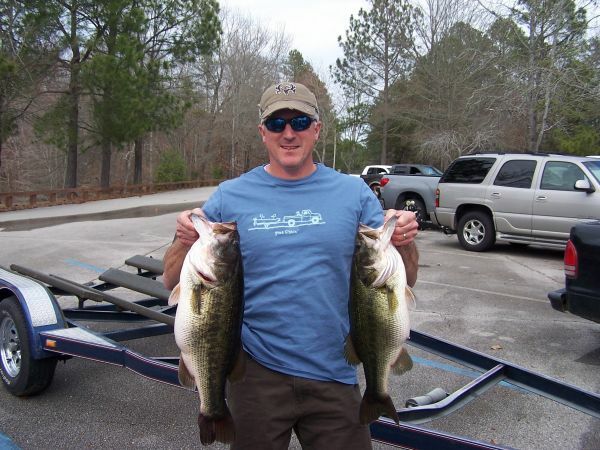 Robert Summers won 2nd, with 13.35 lbs. and Brad Threet 3rd. at 12.80 lbs. Pee Wee also won the club 'Angler of the year' award for catching the most fish. 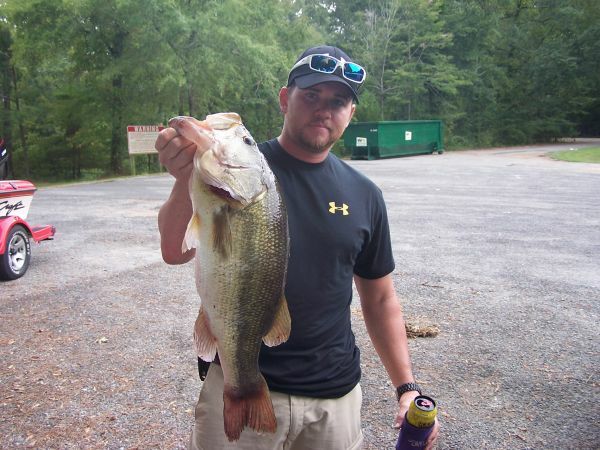 Andrew Sharp fishing as guest with Attala club member Taylor Bishop caught this 6.56 pounder the largest of the day. 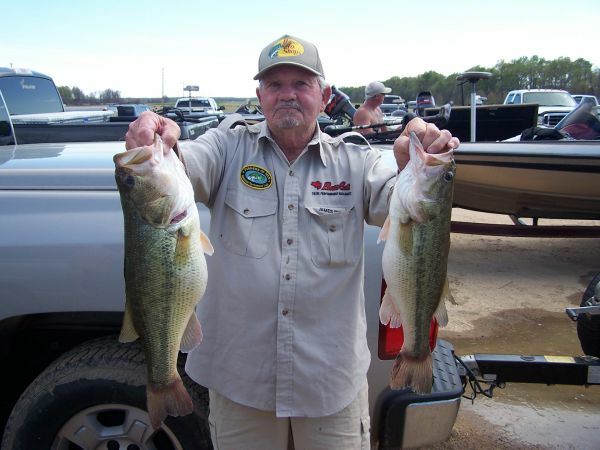 Glen Corr won with a limit weighing 12.91 lbs. David Cain 2nd. with 9.65 lbs. and William Jones 3rd with 8.81 lbs. 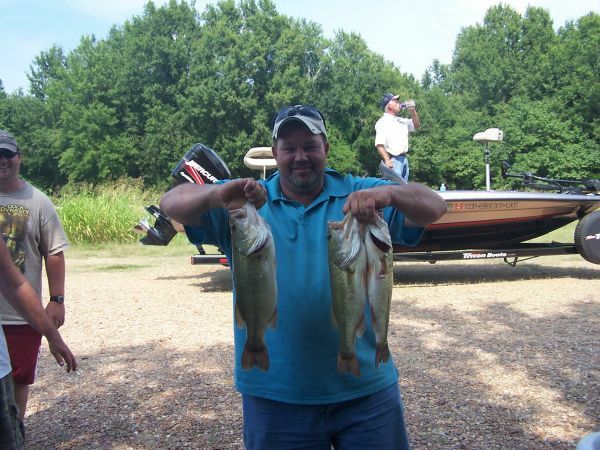 This reporter caught something strange; a limit; of bass and wins the Attala bassmasters tournament at Wolf lake sat. Aug. 4th. with 11.59 lbs. Danny 'Pee Wee' Grubbs won second place with 10.98 lbs. and also caught the largest of the day with a 3.39 pounder. And James Pickle proving the old timers can still catch fish won third with 8.28 lbs. 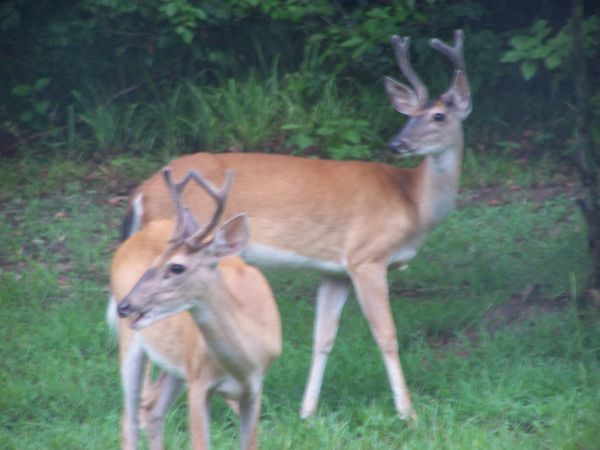 Check out my neighbors, took these pics out my back window yesterday evening at 7:30. They know a feeder goes off at 7:45 close by with high protein feed in it and they are waiting on it. AND, OH, by the way i do not shoot this close to the house, these are my wifes' pets. 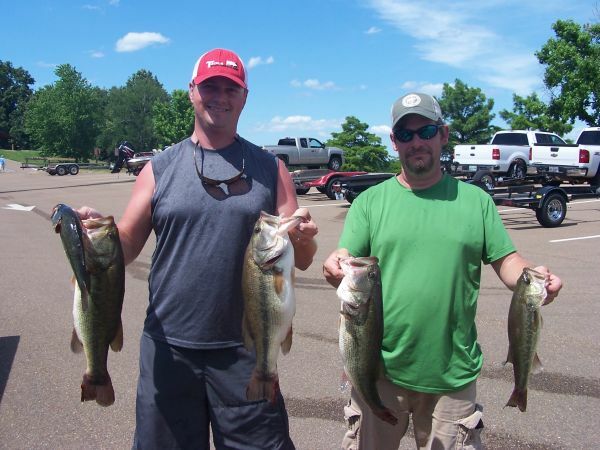 Brad Threet wins two in a row, this time at Little Eagle lake with his limit weighing 14.75 lbs. sat. July 7th. Mike Corr won 2nd, with 13.36 lbs. and Danny Grubbs won 3rd. with 11.95 lbs. David Cain caught a 5.58 pounder for the largest of the day. 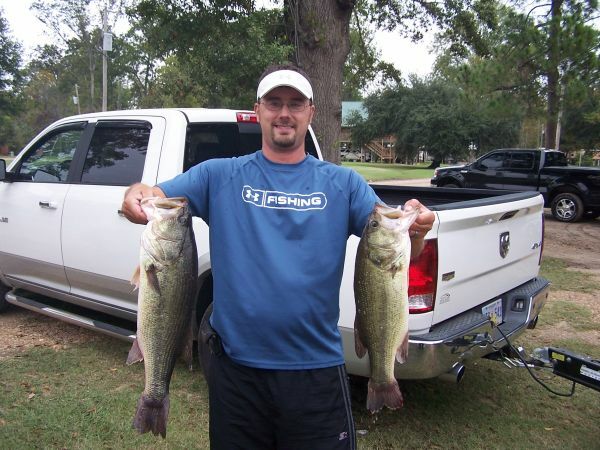 Durant angler Tommy Ashley weighed the largest bass in the Enid lake Attala bass club June 9th. tournament at 6.13 lbs. Tommy's 9.96 lbs. stringer was good enough for 2nd place. Brad Threet won 1st. with 10.77 lbs. and Dave Woodfin won 3rd. with 9.46 lbs. Born in Baton Rouge La. 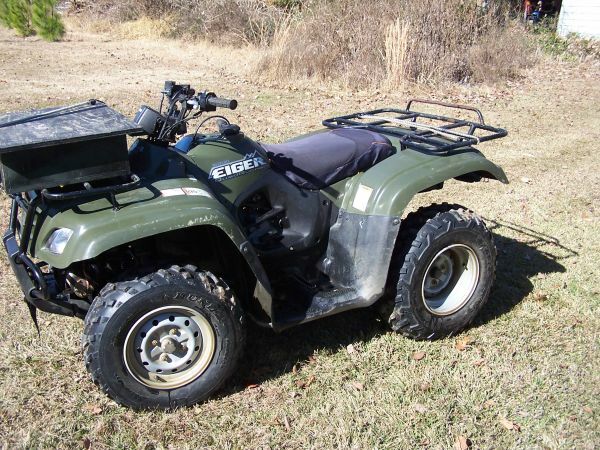 now live in Holmes County MS. And hunt right out of my back door.